We admit that Drakes of London has a special place in our hearts, with its sharp shirting, and fine ties, but this black grosgrain cummerbund surely takes the cake. 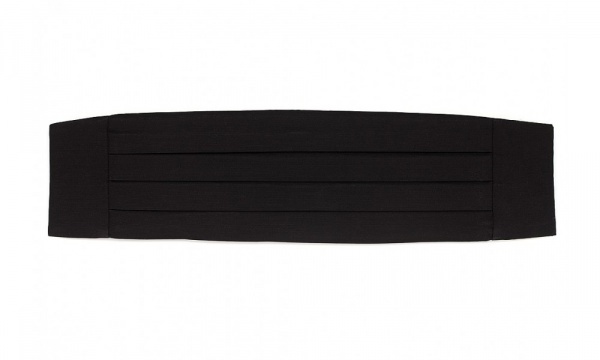 A required element of black tie dress, this cummerbund is the smart dressed man’s accent of choice for any gala event. Available online now. And remember, the cummberbund is always tied with the folds facing upwards. This entry was posted in Accessories, Black Tie and tagged Black, Drakes London. Bookmark the permalink.